Born into a Punjabi family, I have always enjoyed plenty of homemade ghee on chapatis. 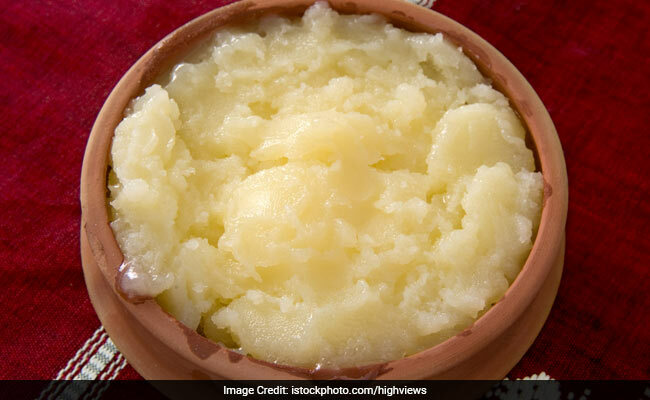 Homemade ghee or desi ghee has many health benefits. In India, it is regarded for its pure form and is used by people even for worshiping Gods and Goddesses. This quintessential ingredient makes appearance in many Indian dishes – enhancing the flavours and adding depth. This takes me back to my childhood where my grandmother used to perform the whole task of turning malai into ghee. You may not like the smell of ghee during the process but it is worth tasting. In Ayurveda also, ghee has been called as a medicinal food, one of the ancient “Sattvik” foods which can heal all the doshas. 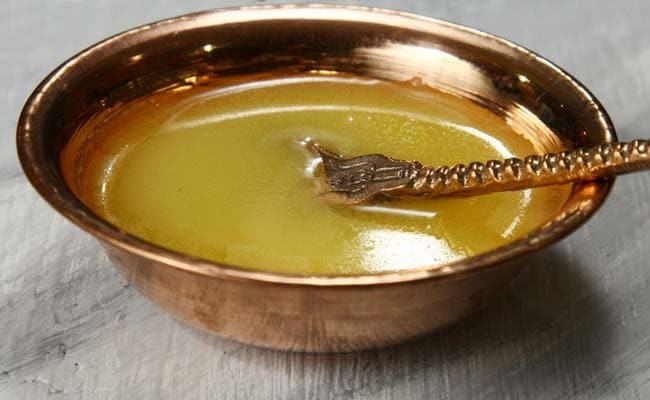 Good quality ghee must have a sweet flavour with a golden brown color. Around 1 kg of malai or cream scooped out from milk. Add 2 tsp of yogurt into a container of malai. Now keep collecting malai form milk for at least 8-9 days. Keep the container in the refrigerator during these days otherwise it will get spoiled. Traditionally, a ladle called called mathani (wooden whisk to keep between the parm) was used to churn the mixture. But any churner will be fine to churn. Add 2-3 tablespoon cool water. Churn for 3-4 minutes. Add some more water if required as the water will help to separate the butter from buttermilk easily. After 8-10 minutes of churning, you will notice butter bubbles floating on the top and being separated form the liquid part. 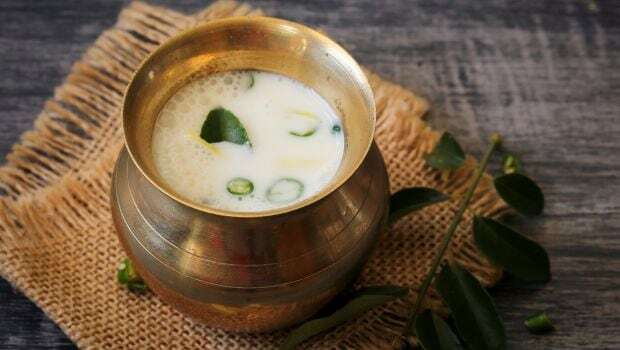 This liquid part is the buttermilk (chhaach). Separate the butter from the buttermilk and collect in another container. Press the butter fat (globules) by your hand to extract the extra buttermilk from it. Place the extracted butter fat (makhan) in a deep utensil on low heat and let it melt. Do not put the butter fat on high heat as it will burn the mixture leaving you with a bitter taste. When the butter fat starts melting, bubbles will start to appear on the top. Stir the mixture properly. After 18-20 minutes of slow cooking, the foam will settle down and all the moisture will evaporate and the mixture will start turning golden. As the leftover milk granules settle down, you can scoop out the golden liquid. Boil the ghee on high heat for 3-4 minutes more. Let the ghee cool down for another 10 minutes. Now, filter the ghee from the dark brown milk granules in clean container. Your ghee is ready to be used. You can use this homemade ghee for 8-10 months. Ghee is easily available in the market so the question arises that why should you take the pain to make it at home. The answer is because it is worth it. This versatile ingredient does not only taste good but also contains numerous health benefits. Rich in vitamin E,D,A and K, it reduces inflammation, aids weight loss and even makes your skin healthy and shining.